The loss of a beloved pet family member can be devastating for your clients. Consider including one of our memorial cards in as an insert in your own sympathy card. 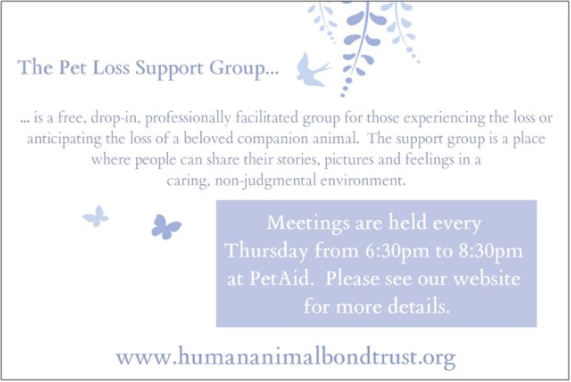 Not only does your purchase of our memorial cards support the work of the Human Animal Bond Trust in our community, but also makes sure that your clients have access to pet loss support resources when they are needed. Step 1: Download the order form HERE. Step 3: We will send your Sympathy Cards to you by mail!